It was warm and sunny, a pleasant June morning following a week of cool, rainy weather. 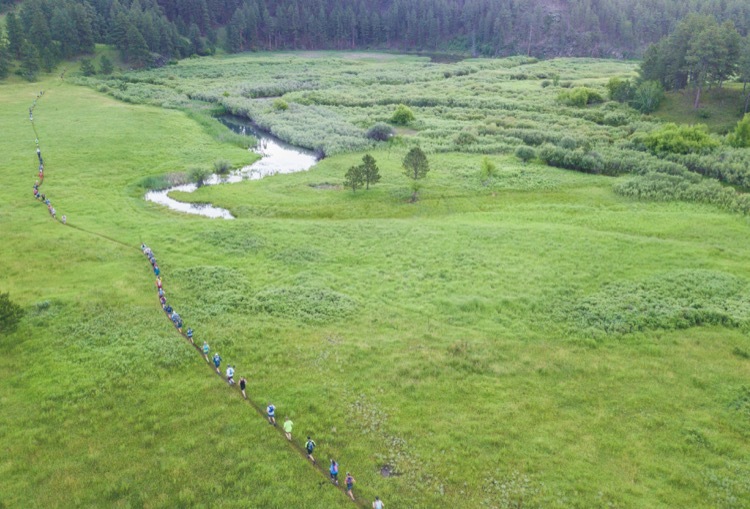 Forty minutes earlier, the 8th annual Black Hills 100 had kicked off in Sturgis, SD and 91 runners were en route to the first aid station at Alkali Creek, just over 7 miles from town. One of the race directors and a runner’s father were in pursuit of a rattlesnake that had been sighted earlier along the trail, cautiously pushing aside the waist-high grass with trekking poles, the only suitable tools they could locate for the job and unsure what exactly they were going to do if they actually found the snake. They debated about whether it was preferable to locate it, and know its exact location or not find it, and assume (hope) that it had vacated the area. In the end, the latter is what occurred, as the snake remained hidden and the search was abandoned to tend to runners who began streaming into the aid station. While the sun beat down on Alkali, a thunderhead was building to the south, directly over the course. Like a wily poker player sitting in a dingy Deadwood saloon in the Old West days, Mother Nature always has an ace up her sleeve when it comes to the Black Hills 100, and she was about to play her ace in the hole. Before most of the runners could reach the second aid station at mile 11, rain, lightning, and hail were pounding the course, and would continue to do so for a few hours before the storms finally skirted off to the east. In their wake, they left a trail of mud and a ragged bunch of wet, chilled runners. 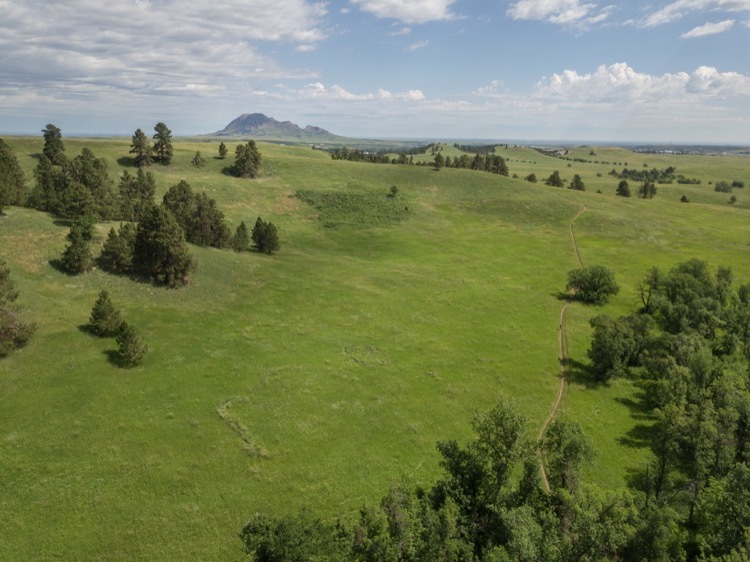 The 100 mile race follows an out and back route along the Centennial and Deerfield trails between Sturgis and Silver City. Pierre Loic Deragne traveled 4800 miles from Meyzieu, France to Sturgis for the race and made the most of the journey, winning the 100 mile race in 22:38:08. Jeremy Bradford of Denver, CO, who has previously won the 100 mile race twice, finished second once, and third once, added to his buffalo skull collection, coming in second in 23:30:39. Third place went to local runner Roy McLaws of Deadwood, SD, finishing his first ever 100 mile race in 23:47:41. Elle Spacek of Lakewood, CO gained a measure of redemption after dropping out of the 2017 race with hypothermia at mile 50. She won the women’s race in 25:29:56, followed by Tonya Keyes (Mesa, AZ) in 25:58:29 and Adrienne Fratczak (Scarbro, WV) in 27:32:27. The 50 mile race, which is run on the back half of the 100 mile course from Silver City to Sturgis, was won by Wynn Davis of Stillwater, MN in 8:33:58. He was followed by Barry Hein of Sioux Falls, SD in 8:43:22 and Tyler Waterhouse of Sandy, UT in 8:52:08. On the women’s side, Jessie Fahlgren, another local from Spearfish, SD, and the second place women’s finisher in 2017, won in 10:16:03, taking 50 minutes off of her time from the previous year. Coming in second and third were Julie Moulton (Brainerd, MN) and Cindy Stonesmith (Louisville, CO) in 10:39:52 and 10:47:24, respectively. The 50K race, which had been rerouted due to a timber sale in its inaugural year in 2017, was held for the first time on its intended course, following the Centennial trail from Dalton Lake north to Sturgis. Isaac Zarecki from Hot Springs, SD claimed the overall win in 4:58:39 followed by Don Sims from Lakewood, CO in 5:08:39 and Matt Henry from Rapid City, SD in 5:32:50 (fourth overall). Nikki Reinsbach of Sioux Falls, SD was the women’s champion, and third overall, in 5:21:08. Coming in second was Cassidy Moore (Salt Lake City, UT) in 5:56:07, followed by Lizzie Kasparek (Sioux Falls, SD) in third in 5:57:58. Each year, the top three men and women in the 100 mile race are awarded hand-painted buffalo skulls. New this year was the creation of the Man/Woman in Black award, which grants a buffalo skull to anyone who has completed all four distances at the Black Hills 100: 100 mile, 50 mile, 50K and 30K. 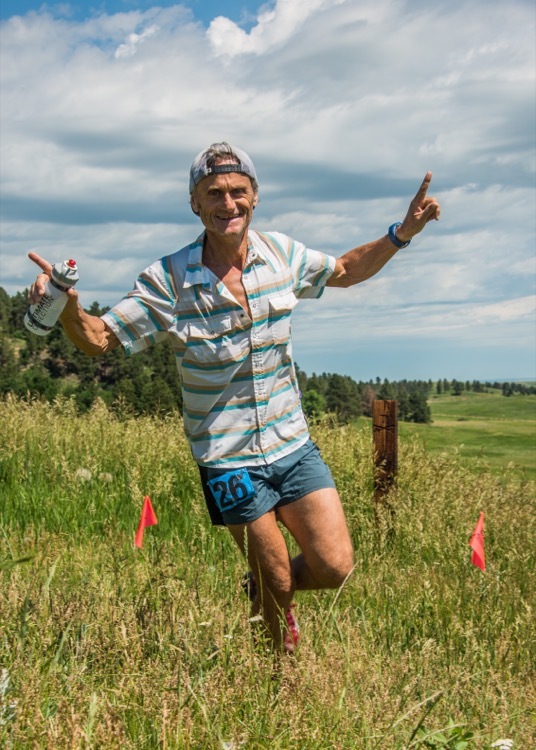 Four Man in Black awards were handed out this year, going to Chris Rubesch, Barry Hein, Eric Selle, and Phil Uecker, who also has the distinction of being the only person to complete five distances at Black Hills (including the now-defunct 100K). With a record number of runners in 2018, word seems to be getting out that a small, out of the way race in South Dakota can offer challenge and scenery beyond the expectations of most. “Relentless” is a word that gets tossed around a lot by folks who have run Black Hills, and the Centennial trail certainly fits the description. The question is: is the Centennial more relentless than you? Previous ArticleBack-to-Back Long Training Runs: Friend or Foe? Loved this race. It’s tough, and a real sleeper (no one seems to know about it). Did it a few years ago and found the scenery gorgeous, the aid stations and volunteers great, and the thigh-deep river crossings (after an entire night of storms) quite fun!